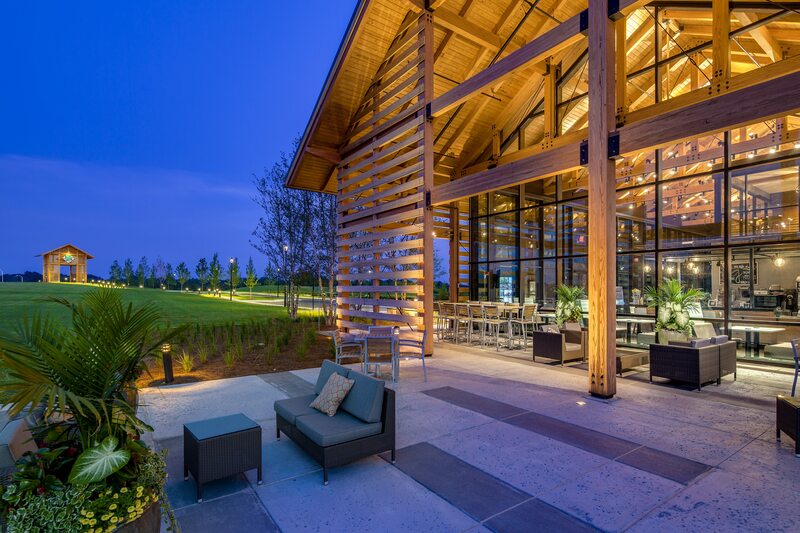 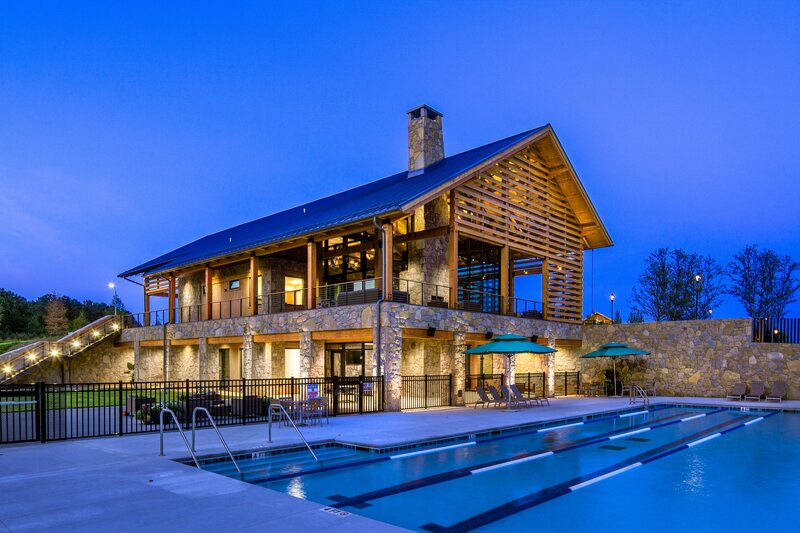 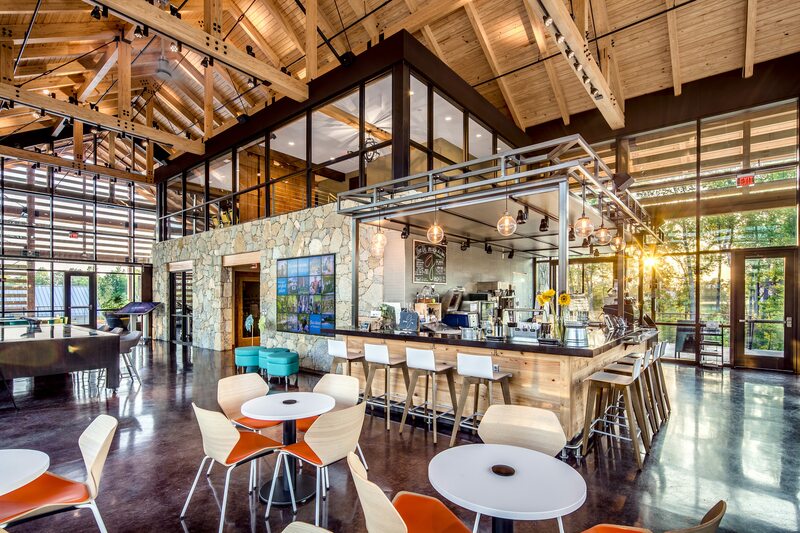 The Farmhouse serves as an amenities center for a residential development and includes community gathering spaces, administrative offices, a cafe, and fitness center. 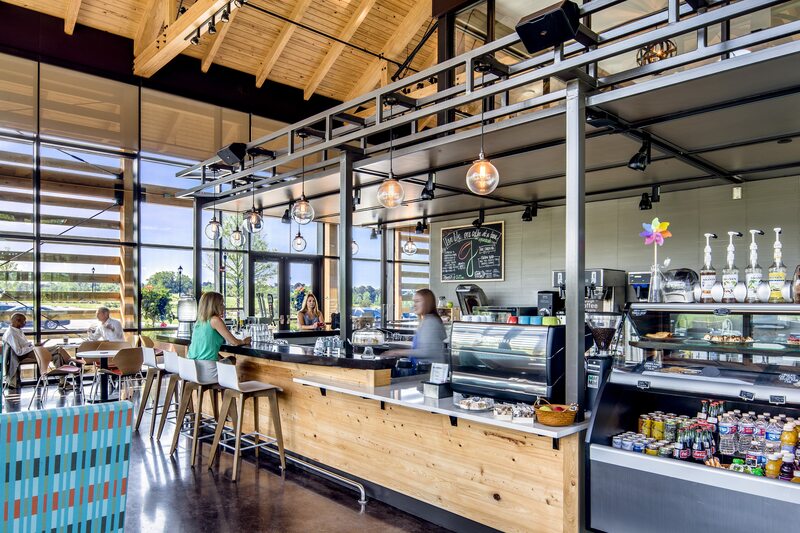 The Cafe provides coffee, espresso, draft/bottle beer, or wine to go along with sandwiches, salads, and other good bites! 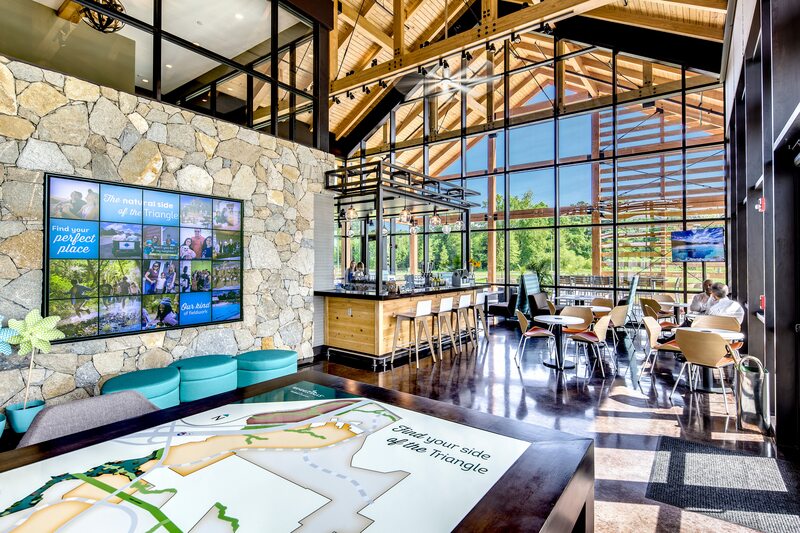 Or just run by to get something from the Grab-n-Go including premade sandwiches, salads, or bottled beverages after a good workout in the fitness center.